The British Association for Applied Nutrition and Nutritional Therapy is disappointed that a prime-time opportunity for sharing healthy eating messages was not exploited to its full potential and was, in places, misleading with use of simplistic tests that told part, but not all, of the picture. surprise was expressed that antioxidant levels were lower after a number of hours after eating them, when the simple explanation is that the antioxidants had probably been depleted whilst carrying out their role disarming Reactive Oxygen Species. supplements were highlighted as a potential cause of harm despite the number of scientific studies that show their benefits if chosen well and properly recommended taking into account the health profile of a person. the BBC chose to portray 7-day detox diets as quick fix solutions rather than aiding the public’s understanding that detoxification is a biochemical process that takes place within every cell in our body on a continual basis. 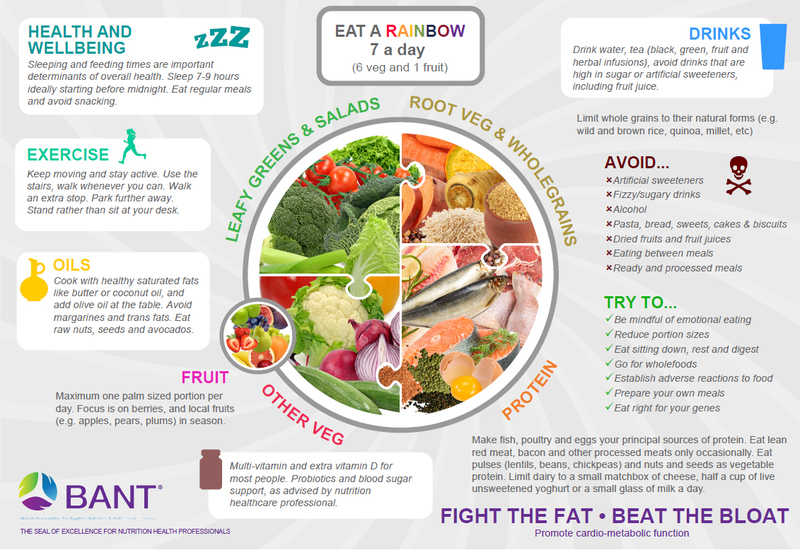 BANT supports the finding that healthy eating as a whole is vital for wellbeing but advises that individuality is key and any advice provided should be tailored to each person. BANT is very much aware that much of the advice and information issued regarding the nation’s health and what we should be eating is confusing and often conflicting. It can be difficult for the public to navigate and interpret the information available, especially in the light of Public Health England’s recent confirmation that the Eatwell Guide is a food selection tool that has been designed to cover the population as a whole which does not take into account individual health and weight profiles. 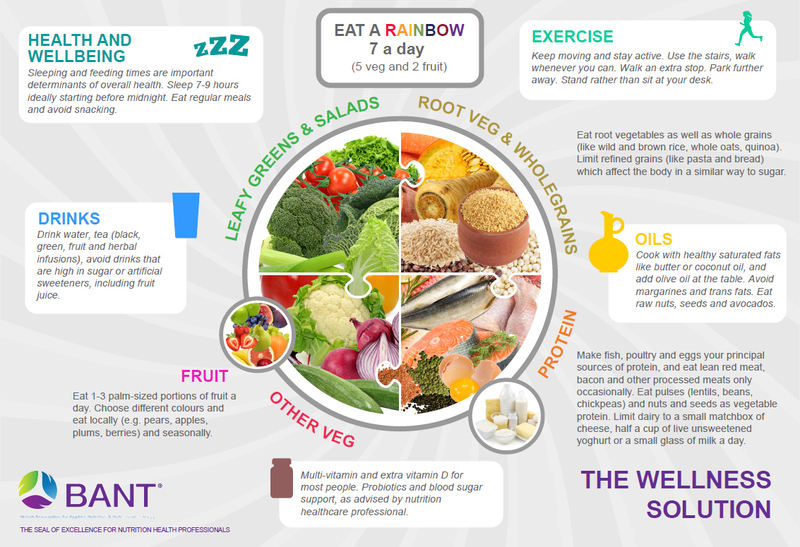 The clear, concise format of the BANT Wellbeing Guidelines enables people to see easily what food choices they should be making. More detailed information is also given to guide people in how to make these choices and which other lifestyle factors they should be addressing. Stay hydrated with water, herbal teas, green and black teas. Avoid alcohol, sugary drinks and too much caffeine.